KIM LAWTON, correspondent: At her year-round home on Martha’s Vineyard, Massachusetts, Geraldine Brooks is getting breakfast for her family’s three alpacas. The Australian-born author finds a simple joy in caring for her animals and appreciating the beauty around her. Brooks is a convert to Judaism. She says her spirituality is closely tied to the natural world. 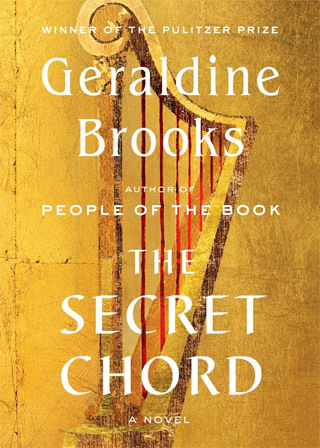 GERALDINE BROOKS (Author of The Secret Chord): I find most of my inspiration in nature. I don’t know if there is a literal creator, but I can love creation. BROOKS: I’m fascinated by the questions. I don’t have any answers, but I love looking at how human beings have grappled with these questions over time. BROOKS: We went to Catholic school. I was educated by the nuns all the way from kindergarten to the end of high school. LAWTON: Brooks says she fell away from the church in her teens after becoming disillusioned over issues including the treatment of women and the teachings against birth control. 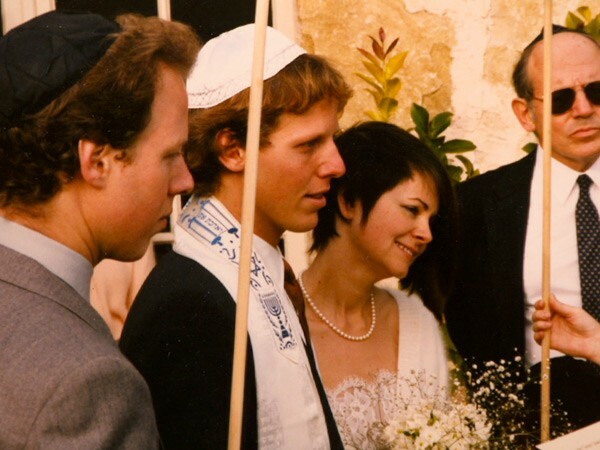 BROOKS: I was traveling happily as an agnostic, and then I came to the United States for graduate school and fell in love with the man who was going be my husband, and he was Jewish. LAWTON: That man, fellow journalist Tony Horwitz, would also become a Pulitzer-Prize-winning author. Brooks says he wasn’t especially concerned about their religious differences. But she was, especially because the Jewish faith is passed down through mothers. BROOKS: I thought that given the recent history of the 20th century and what had happened to Jewish families in the Holocaust that I could make a gesture towards that history by converting to Judaism so that our children would be Jewish. BROOKS: Even though I am not at all sure that anybody is listening, I find that I have this compulsion to offer up little prayers, and it is kind of in the Jewish tradition to do that. You notice something, you express gratitude for it. I also find that if I hear an ambulance siren I say, “Please help them.” I don’t know who I’m saying it to, but I do feel, like, moved in my soul to say it. LAWTON: Early in her career, Brooks was a foreign correspondent for the Wall Street Journal, covering war zones in the Middle East and the Balkans. She’s also a breast cancer survivor of more than ten years. She says both experiences have heightened her appreciation for being in the moment. BROOKS: We’re always running our minds on the next thing, and getting and spending, and power plays, and all the nonsense that we fill our days with. So I think also having a potentially life-threatening illness and getting out of it in one piece is something that helps you be more appreciative, and to just take every day as a gift. LAWTON: Brooks and Horwitz have two sons, Nathaniel and Bizuayehu, who was adopted from Ethiopia. 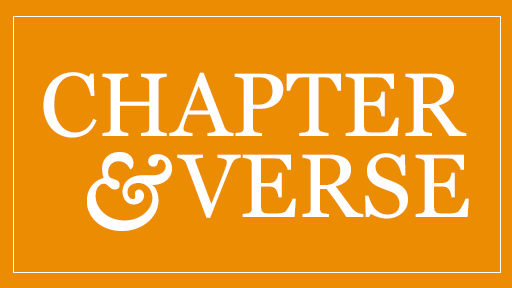 The family is a fixture in the small year-round Martha’s Vineyard community. Brooks can be found buying dairy products at their neighbors’ farm stand or visiting the stable which houses her beloved horse. The family attends the Martha’s Vineyard Hebrew Center, the only synagogue on the island. Brooks praises the leadership of its rabbi, Caryn Broitman. BROOKS: We just have the one little shul. It’s a very small community, so it has to embrace a lot of diverse opinions, and I think she’s really a genius at holding this diversity together in a really exemplary way. BROOKS: I didn’t want it to sound like an English text from that period. I wanted it to have more of the resonance of the Hebrew, which can be very poetic, but also can be extremely blunt. 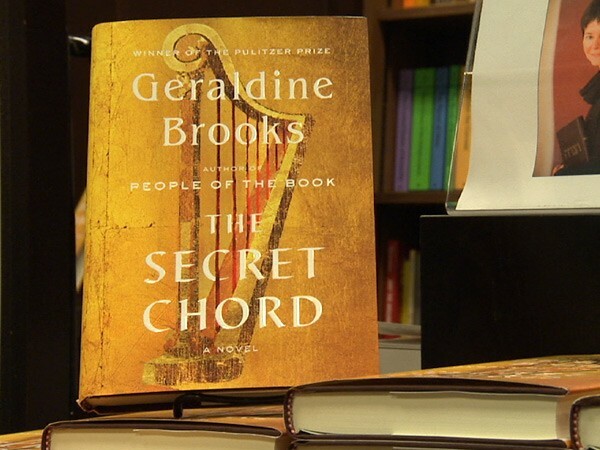 LAWTON: Brooks’ interest in David was ignited years ago, when her oldest son told her he wanted to play the harp. That got her thinking about the boy-harpist in Scripture. She started rereading his story. 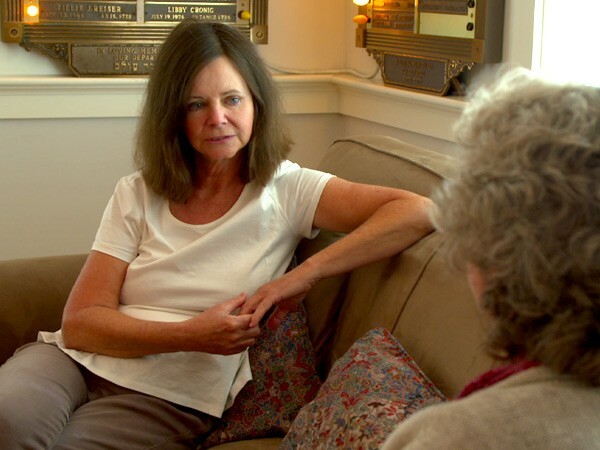 LAWTON: She says she was fascinated by David’s loves and battles and all the conspiracies over succession. BROOKS: And so to try and use imaginative empathy to fill in the gaps that Scripture leaves became such an intriguing challenge to me, and also I took a lot of consolation in that I’m not the first to take this on. 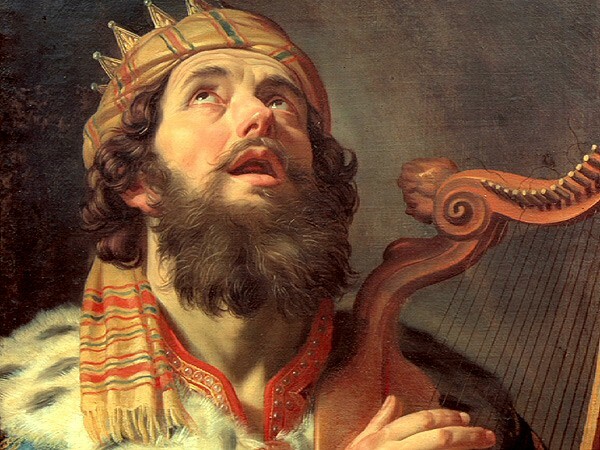 LAWTON: In The Secret Chord, David’s story is told through the eyes of the prophet Nathan, who often castigates the king. Among Brooks’ research sources were the writings of the late Jewish theologian Abraham Joshua Heschel. BROOKS: What I really loved about researching this book was reading Heschel on the Hebrew prophets. He says, you know, these are some of the most confounding and troublesome men who ever lived. And I’ve always been attracted to brave idealists—the people who take the human condition, the ethical framework, and push it a bit further. LAWTON: Some biblical scholars have speculated about the close friendship between David and Yonaton, or Jonathon, the son of Israel’s King Saul. In Brooks’ telling, the two have a sexual relationship. BROOKS: I think everybody interprets Scripture according to their own times, and I really feel an honest reading of the passages relating to how their souls were knit together and the extraordinary outpouring of emotion in the lament for Yonaton that David writes, called “The Song of the Bow,” when he says, “Your love was greater to me than the love of any woman,” and this is a guy who’s loved a lot of women. LAWTON: Brooks’ David is a complicated man. She says that’s his appeal. BROOKS: He is a flawed character, but he’s a flawed character in Scripture, and he’s the first to admit his flaws, and that’s one of the things that draws me to him, because so many powerful men, particularly, are flawed. The story of David isn’t date-stamped, and it’s because he does embody the dark and the light of the human condition—that, I think, is one of the reasons that we’re pulled back to this story time and time again. LAWTON: Is there a sequel in the works about Solomon? BROOKS: Well, that’s an interesting idea. There’s certainly a lot to say about Solomon, and the story—I do leave the story at a pretty important crux. So who knows? We’ll see if Nathan speaks to me again. LAWTON: Whatever the topic of her next historical novel, chances are good it, too, will have religious themes. BROOKS: If you’re going to write about the past you can’t ignore faith, because faith was, in many ways, the defining characteristic of so many lives in the past. So good luck not writing about it. LAWTON: I’m Kim Lawton on Martha’s Vineyard. Being a father, having an heir, seemed to add an extra dimension to David. He had always been a vivid, animating presence in any room he entered. But now he would come from visiting the boy, whom he had named Amnon, crackling with even greater energy and force. He had been an engaged listener, ready to learn what any man might have to offer in discussion, but now there was an additional depth to his questions, a more far-reaching vision behind his decisions. He thought now beyond the span of years and into a future that glittered ahead into centuries. It’s one thing, I suppose to have a prophet tell you that you will found a dynasty. Now, it seemed, he allowed himself to truly believe it. As the wars dwindled to skirmishes and our strength grew, David as able to spend less time with military commanders and more with the engineers and overseers who were fanning out through the land, digging cisterns, making roads, fortifying, connecting and generally making a nation out of our scattered people. It was a time when any man could seek and find justice. I think that David’s own experiences as an outlaw, a falsely accused man, had made him resolve to deal justly with his subject now that he had the power to do so. In those years, he never tired of hearing suits, and would listen for hours to all sides of a grievance, taking pleasure in teasing out the threads of a dispute and weighing all the evidence laid before him. Any who felt dissatisfied by the decisions of the elders at their own town gates could appeal their matters to David himself, and know they would be fairly heard. He composed some of his best music at this time, training choirs to praise the Name in musical rites that drew great crowds to worship. He would join with the choirs at such times, his soaring voice carrying the melody, enriching the harmony, his face lifted up to the heavens and lit by the ecstasy of his ever-renewing bond with the divine. David would wear no purple cloth, no symbols of his kingship, when he went to greet the ark. In its presence, we were all of us servants. David, standing just in front of me, could not keep still. He held his arms out from his sides, his fingers stretching down to the earth, quivering as if some great energy were passing up and through them. He was breathing fast and deep. Suddenly, he raised his chin, and gave a cry—like a paean, but higher, sweeter—rich notes that filled every heart with gladness. The he was loping down the hill, as wild as a boy, as ardent as a lover, his arms outstretched, sprinting toward the ark. When he reached it, he cast himself down in full prostration, his arms stretched out as if in the widest embrace. It was a lover’s moment, between him and the Name, the great One who had blessed him, kept him, and brought him to this moment. I knew how he prayed: I had felt its ardency. Now all his people felt it. I could hear the sighs and the cries all around me, as the power of it moved and stirred the crowd. When David rose to his feet, he did so as if lifted by strong and tenders arms. Then he began to dance.